Does your team need a wiring diagram? Or maybe you’ve added a few motors or sensors and no one wants to redo the wiring diagram? Generate your Wiring Diagrams with WireBoy! FIX IT 3491 has solved this problem by creating software that instantly produces a new wiring diagram every time we make a mechanical change on the robot. 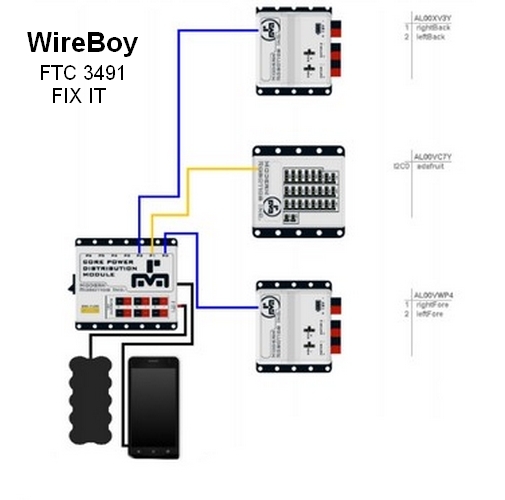 All you need is WireBoy and the updated config file to generate a current wiring diagram. We put it on GitHub for other teams to use too. Here’s a sample wiring diagram from WireBoy for a robot this season. Hope you like it!